The Cakes & Ale Holiday Park is an oasis of calm, where you will find some of the most relaxing holiday homes in Suffolk. Set in 40-acres of pristine grounds in the Heart of the Suffolk Heritage Coast, our holiday homes provide the ideal base from which to discover and explore the many charming nearby villages and stunning countryside, away from the stresses and strains of everyday life. 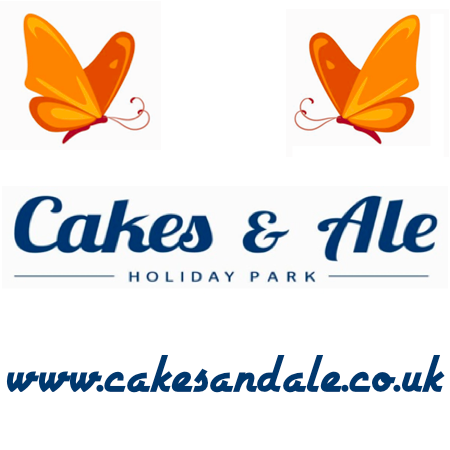 Owned and run by Fergus Little, Cakes & Ale is one of three holiday park businesses within the family. Fergus’s father, Peter, first established Cakes and Ale in the 60’s, and now devotes his time to running the Moon and Sixpence Holiday Park, near Woodbridge, The Priory Park, a 100-acre site near Ipswich, is now owned and run by Fergus’s brother James. All three sites are run in a hands-on manner – not from a glass-walled corporate office on a business park somewhere. You’ll see Fergus on site most days to welcome visitors and personally deal with any query that you may with any aspect of your holiday home. The welcome extends to your faithful friend too, as we are a dog friendly holiday park. Why are we called “Cakes and Ale”? The simplest answer is that, simply, “cakes and ale” are synonymous with the good life! The first known use of the phrase in this context is in Shakespeare’s Twelfth Night, when Sir Toby Belch says “Out o’ tune, sir: ye lie. Art any more than a steward? Dost thou think, because thou art virtuous, there shall be no more cakes and ale?” This remark gave the title to the novel ”Cakes and Ale” by William Somerset Maugham, alleged to be a thinly-veiled satire of contemporary novelists Thomas Hardy and Hugh Walpole, exposing misguided social snobbery. Call us on 01728 831655 or email us to find out more!